It is a(n unwritten) rule of the performing arts that there should always be balance. A simple-minded giant is balanced by a cunning midget. A Stan Laurel is balanced by an Oliver Hardy. And a Noel Trinidad is balanced by a Subas Herrero. Dear Channel 9, what typeface is your onscreen clock display? 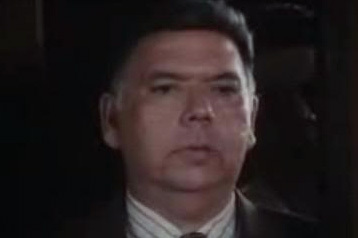 Subas Herrero is Philippine Cinema's go-to guy for such roles as affluent Spanish friars, hacienderos, congressmen, governors, and other political heavyweights (pun intended). But it was his role as President Alcazar in 1990's Delta Force 2: The Colombian Connection that cemented his legacy, by bringing hundreds of Filipino actors within one degree from the great Chuck Norris. He could've made it in Hollywood with a good agent. Ricardo Wright Herrero. 3 April 1943 - 14 March 2013.